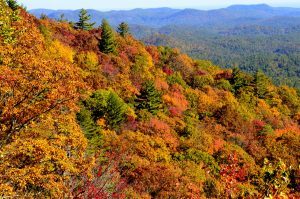 Best Fall Views in North Georgia: The Mountains of North Georgia offer some of the finest views of fall color. After all the rains this year autumn is expected to offer some of the most outstanding color in years. 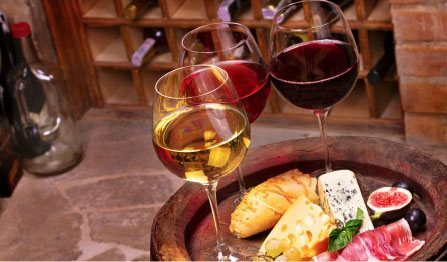 Plan your trip now. Here are some nearby locations. 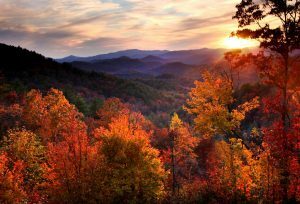 The Mountains of North Georgia offer some of the finest views of fall color. After all the rains this year autumn is expected to offer some of the most outstanding color in years. Plan your trip now. Here are some nearby locations. 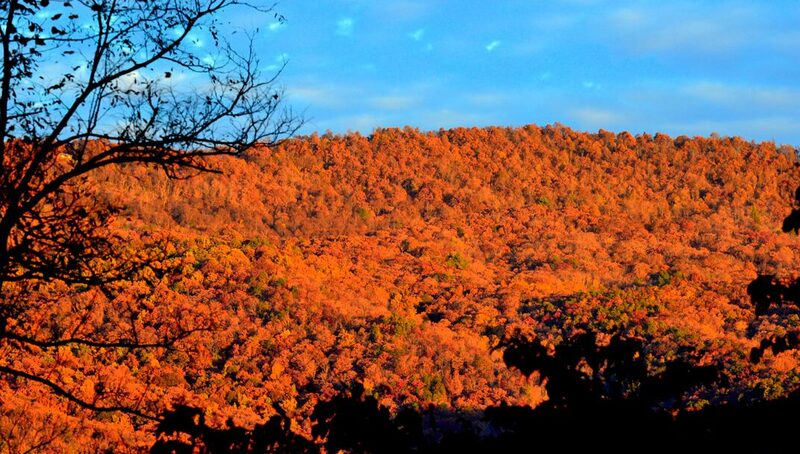 Black Rock Mountain: Just minutes from Beechwood Inn the overlooks of Black Rock Mountain offer stunning morning and evening views. 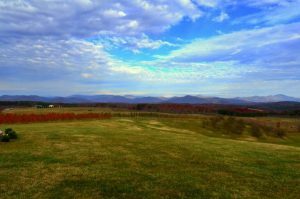 Blue Valley Overlook: Yes, it’s just minutes into North Carolina on the way to Highlands, but it is still a short drive from Beechwood Inn. 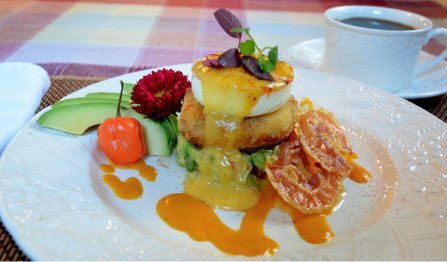 Chattooga Belle Farm: Again, while it is in South Carolina, it is just 15 minutes from Beechwood Inn and you can also enjoy lunch while fall colors surround you. 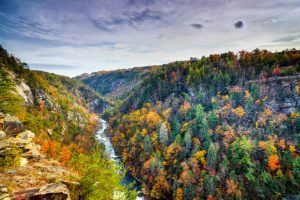 Tallulah Gorge: The deepest canyon East of the Mississippi. 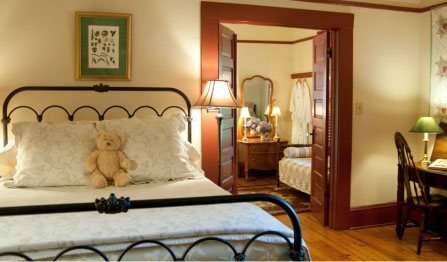 It is deemed by many photographers one of the best locations to enjoy fall color, and only 10 miles South of Beechwood Inn. 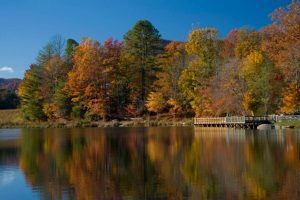 Black Rock Lake: Located on the other side of Black Rock Mountain, Beechwood Innthis peaceful pond offers gorgeous reflections of fall color. Beechwood Inn: This is the view from Beechwood Inn front porch with one hand on the camera phone and the other on a glass of wine. 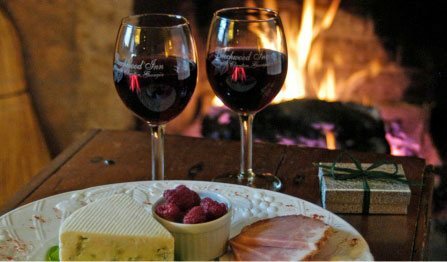 Come relax at Beechwood Inn and enjoy Autumn in the North Georgia Mountains. 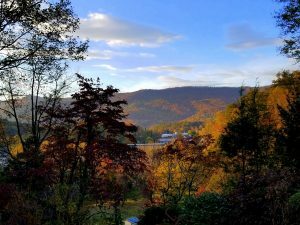 Above we have listed some of the Best Fall Views in North Georgia.